Stand out at your senior prom in this dramatic mermaid dress. This sleeveless silhouette has a sweetheart neckline, and corset lace back that will accentuate your natural figure. 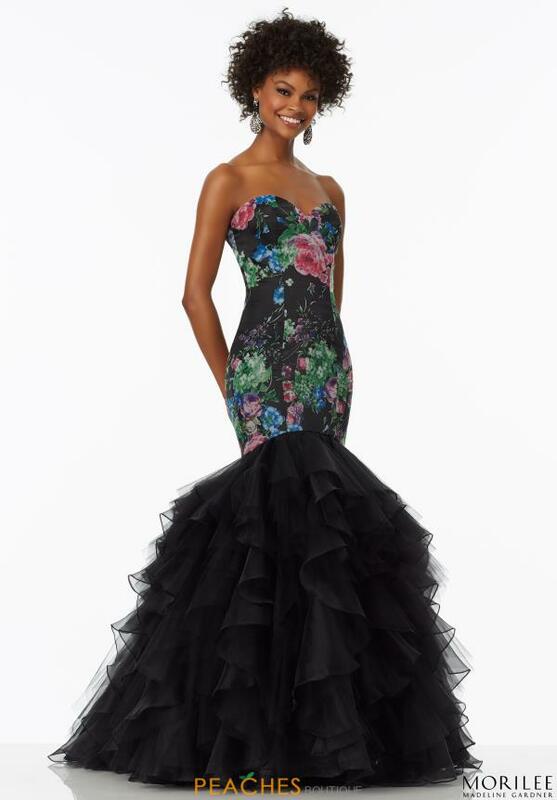 Fabulous mermaid prom dress 99002 from Morilee showcases a printed bodice with organza ruffled lower skirt. Find more stunning Morilee prom dresses at Peaches Boutique.